Money bring smile and joy but poverty is a big problem that can affect you mentally, emotionally and otherwise. I opened this website to assist you in any way i can when it comes to making money to take care of your needs. Having a skill is very important if you want to make it in life, it will help you to have self confidence in yourself and not be all that afraid of your future. The good news is that there are many skills out there for you to learn and don't worry about the time spent in learning this skills for it will do a lot of good later on. We spend a lot of time visiting Facebook, twitter and the rest of them but its time to convert that to something useful that might even become a source of livelihood for you. Today i will be lecturing about skills you can learn either by yourself or being mentored by someone. 1. Photoshop (Graphic Design) and Photography: This is the most broad career out there which can be used as a hobby or as a professional work. This can be learnt either from a professional or studied as a course. There are websites that offer online training for this skill, one of the most popular is Kelbyone. 2. Web Design/Development: This is all about creating websites which includes the web site layout, content and the graphic design. Learning such a skill can help you go a long way financially, it ranges from earning in a small scale level to large scale level. Sometimes the work given to you may not even take you up to 5 hours to accomplish. Every organisation, companies, super markets etc needs a website. You can design websites for people online through websites like Fiverr. 3. Tutoring: Are you graduate? or skilled in a particular field? You can earn from your skill by lecturing others either physically or online. Sure, there are websites that pay you for lecturing people online. 4. 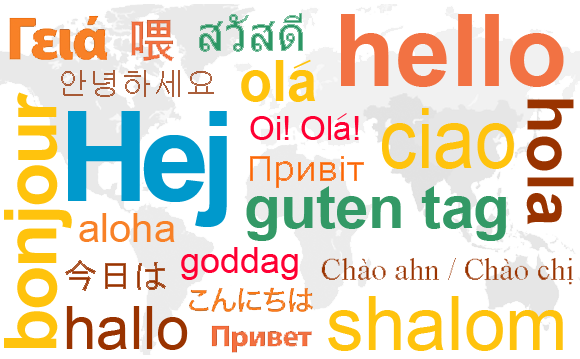 Learn a Language: Learning a language and translating it, is very important both for personal use and making money. It's not a must to get admission into a university or college to study a language, it can be learnt online although you have to pay for it. Most of their fees are high so i recommend BBC's language resource and its free. BBC offers a 12-week beginner's course which includes weekly emails offering tips and encouragement as well as an end of course assessment when you are done with your course. 5. Writing: This skill has been with us since the existence of man. Developing a skill in this sector can change your life for good. Preparing materials for news papers and magazines or for your blog can really earn you good money at the long run. Check ShoutMeLoud for comprehensive details on such skills. 6. Video Capture/Editing: Just like Photoshop, this involves videos. Having a skill in editing videos is lucrative because not much people are skilled in this when compared to Photoshop. Learning how to capture and edit videos doesn't take much of a time. You can acquire such skill online by visiting Media College. 7. Internet Marketing: This is simply promoting a product or service across the internet. This skill is really broad as it involves a lot of things and many people have been scammed by paying to learn this and finally end up disappointed. The good thing about this is that you can earn money either for yourself or by working with clients to improve their business marketing. 8. Programming: Learning programming is a bit complicated but its worth it. Programmers are wanted worldwide and you can grab the opportunity of this endless income strategy. For beginners i recommend programming basics for a start. 9. Search Engine Optimization (SEO): SEO is the process making use of keywords to help websites appear in search engines like Google, Yahoo search and so on. You can check out Moz's SEO basics for proper understanding of this subject. 10. High Excel Skill: Having an advanced skill in Microsoft Excel can take you to heights. Every organisation or company needs this for their work to move forward. Check out GCFlearnfree for all you need in understanding excel.